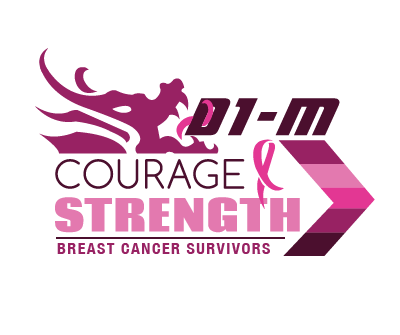 We have pleasure in offering the BCS [Breast Cancer Survivors] D1-M Ergometer. It’s inspirational livery and design serves as a testament to the courageous BCS survivors who have made the sport of Dragonboat racing their own; culminating the inaugural World BCS Dragonboat Championships in Sarasota Florida October 2014. The BCS D1-M Ergometer has as standard the same technical features as our Standard D1-M Dragonboat Ergometer – but also has as standard and included within the package a low resistance flywheel cover. This low Resistance flywheel cover allows for the ability to reduce the resistance / “pull” to serve better those that prefer a slightly less resistive, more comfortable Ergometer. The well documented, therapeutic effects of Post trauma recovery through the Dragonboat paddling action are showcased in this article: http://www.machesticdragons.org/article2.html. Dragon Boat paddling for Breast Cancer survivors. For exactly 20 years this year, Dragon Boat paddling for Breast Cancer survivors [BCS] has changed the way Breast Cancer Survivors have both thrived and survived pre and post trauma. Through a large body of quantifiable evidence and experience Dragon Boat Paddling as a sport and activity has reduced the rate of recidivism and increased the quality of life of Survivors. The social support group dynamic that accompanies this sport is also part of the tapestry of this revolution. Dragon boat paddling by its very nature has 6 x components that allow these well documented improvements to take place. In order to sustain an promote wellness, recovery and survival for Breast Cancer survivors, exercise needs to be maintained as a life style component. Due to cold climates, dark nights, lack of access and the challenge of conflicting schedules it can be a particular challenge to maintain Dragon boating on repetitive, consistent and ongoing basis. 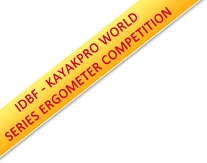 The KayakPro BCS Dragon boat ergometer is the one specific exercise tool to replicate Dragon Boat paddling precisely. With this variable resistance product, Breast Cancer Survivors are able to continue their exercise regimen 12 x months from how or from their club all year long. The concept to "paddle for life" is not a slogan but a reality. Tsunami Dragon Boat - Oak Harbor, Wa.